Corfu stands guard at the entrance to the Adriatic – on one side, you've got Albania and the Greek mainland, and on the other, Italy. It's a setting that's earned it more than its fair share of interest from invading hordes in the past, and it's why you'll find a mix of influences across the island today – particularly in pretty Corfu Town, which has been awarded UNESCO World Heritage status. 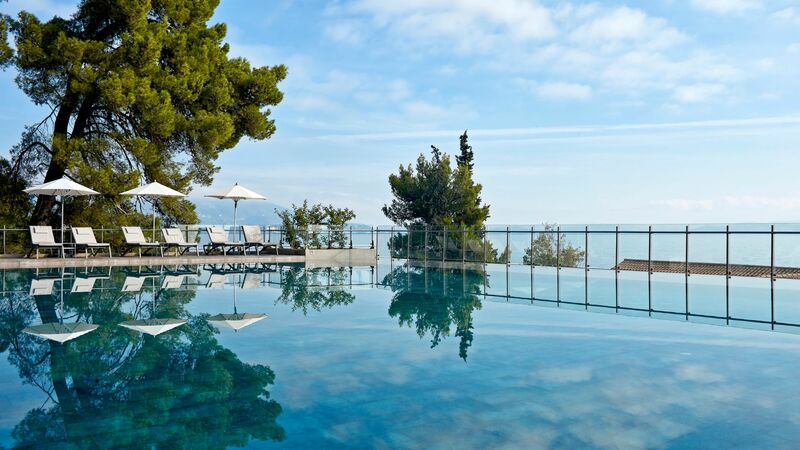 Corfu holds the title for the greenest of the Greek islands. Rolling hills, groves of olive trees (a whopping two million are spread across the island) and mountains blanketed in pine forests have given Corfu the nickname the Emerald Island. Head to the coast, meanwhile, and you'll discover sweeps of sand and shingle, plus a generous helping of tucked-away coves. The beaches are also beautiful on the neighbouring isles of Paxos and Antipaxos, both easily reached by boat from Corfu Town’s harbour. Corfu Town stars a UNESCO-listed old quarter filled with pastel-painted neoclassical mansions, and guarded by a citadel and fortress. Shop for gold jewellery and handmade lace in the town's boutiques, or head to the morning market for wedges of Parmesan-like kefalotyri cheese. Local fishermen peddle their wares here, too: follow your nose to the stalls that cook up fresh seafood like sardines. Alternatively, sit back with a strong Greek coffee or a glass of retsina (pine-spiced wine) at one of the cafés lining sprawling Spianada Square. The Monastery of Paleokastritsa has perched on a hilltop in north-west Corfu since the 13th century, commanding sweeping views over the craggy coastline. Admire the apricot and cream walls, flowering courtyard garden and cloister-like tunnels before ducking inside. The whole place is dedicated to the Virgin Mary, so the walls are covered in shining statues and glittering paintings. Remember to make time for the museum next door, too – it holds holy books and rare icons dating back to the Byzantine era. The twin islands of Paxos and Antipaxos lie just south of Corfu. 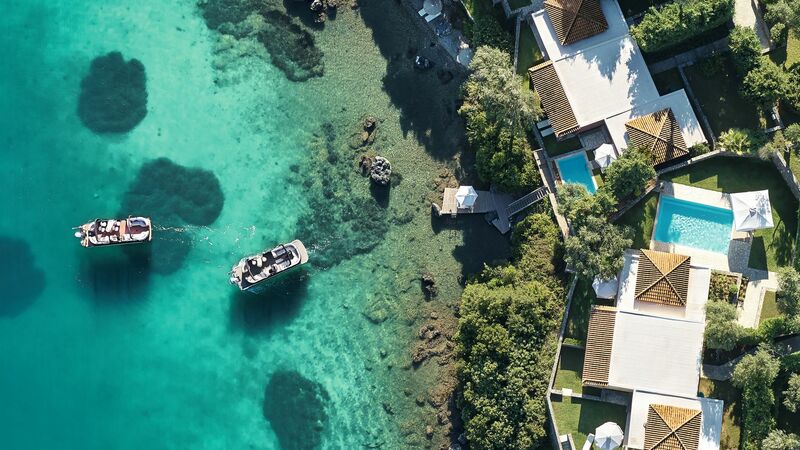 Join a boat trip there and spend the day swimming and snorkelling in clear waters, lazing on white-pebble beaches, and exploring Paxos' sea caves. Some of the caves are as big as churches, with the acoustics to match. The Blue Caves are the most popular choice, thanks to a natural skylight that turns the water bright turquoise. Cruises come in all shapes and sizes, too, from sunset voyages to private trips that let you chart your own course. 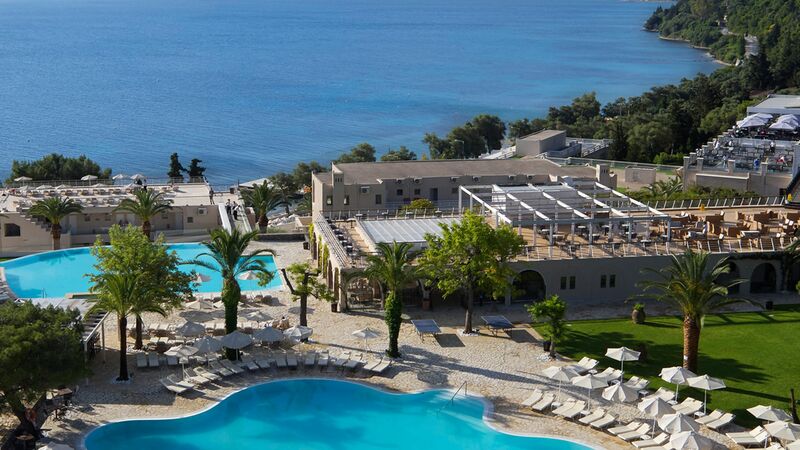 Agios Ioannis Peristeron is little more than a handful of plush hotels and sea-view tavernas that climb up from the beach into the forested hillside – and that’s exactly its charm. 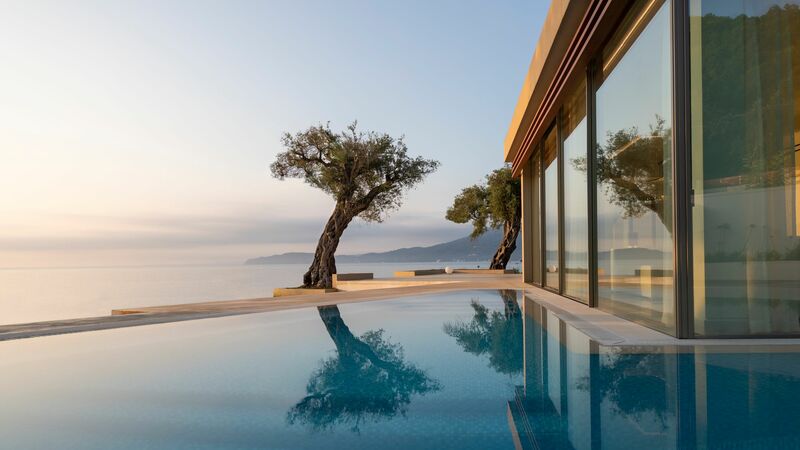 Located on Corfu’s east coast, holidays to Moraitika are full of lazy days on the golden sands of the beach or wandering through the pretty streets of the town. 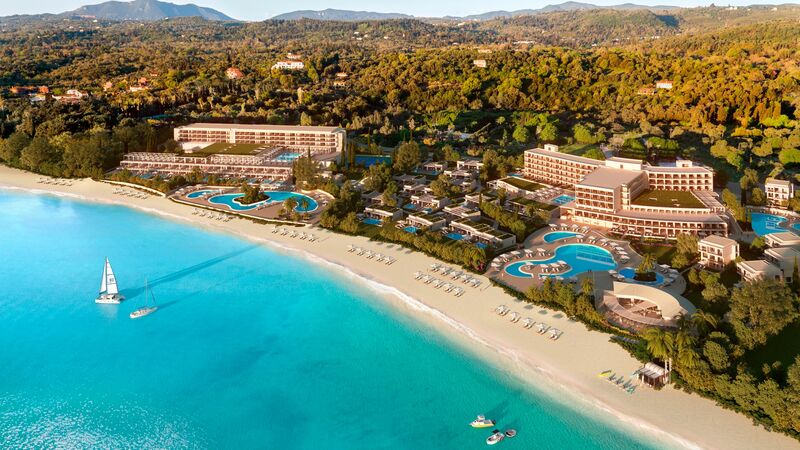 Dassia Bay is one of Corfu’s original beach resorts. It’s always had a low-key feel, dealing out landscaped hotels, cocktail bars and boat hire outlets all along the sandy bay. Kommeno is a snaking peninsula on the east coast. Thanks to its narrow shape, hotels here get a double – or sometimes triple – helping of beaches, plus views back to neighbouring Gouvia. Venetian villas and sand-side spa hotels dot the bay of Kontokali – a sweep of coastline with an illustrious literary heritage. Best of all, it’s just north of Corfu Town. One of the liveliest islands in Greece, Corfu is full of beautiful beaches, as well as plenty of things to do inland. Kids will love a visit to the Corfu Donkey Rescue Centre while those wanting to keep active will find lots of water sports and activities as well as opportunities to hike, mountain bike and horse ride inland. Corfu’s cuisine is similar to mainland Greece, with a focus on local produce like meat, cheese and olive oil. Being an island, Corfu’s cuisine has a bigger focus on fresh seafood; squid and octopus are popular, and fish is traditionally marinated in olive oil and lemon juice, then baked or grilled whole. Classic Corfiot dishes to look out for include moussaka (layers of aubergine and minced meat), kleftiko (slow-cooked lamb) and baklava (a pastry dessert steeped in cinnamon and walnuts). Corfu Town is beautiful, but it's a popular cruise destination so can get busy. Head there later in the afternoon when most passengers will have gone back to their ships - it's much quieter. 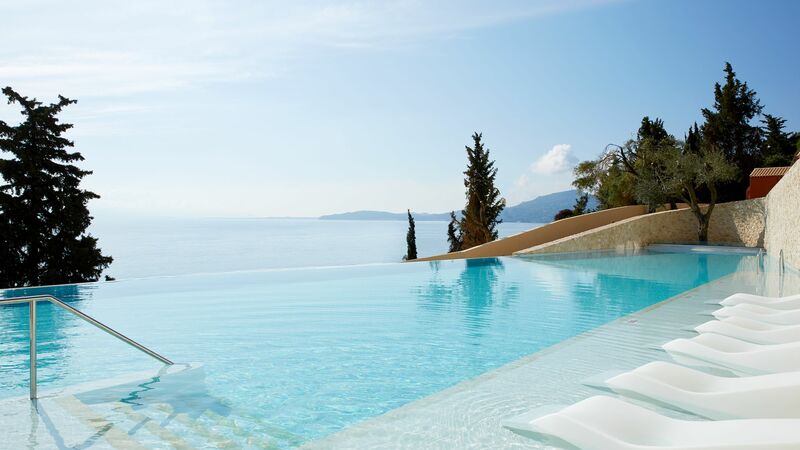 Corfu is only an hour's flight from Athens, so makes a great twin-centre option with the Athenian Riviera.